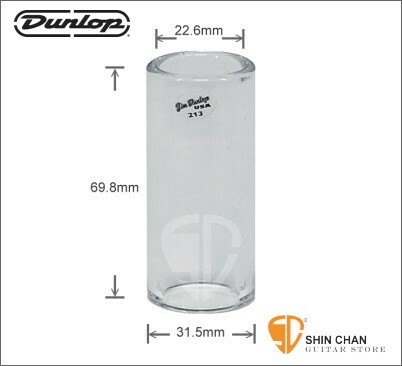 The Dunlop 213 is another fine Pyrex Glass Slide from Dunlop - part of a family of slides that have been chosen for years for their comfortable weight and warm, thick tone that accentuates the middle harmonics of your sound. 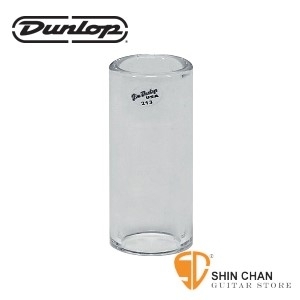 Today, Dunlop slides are still the most popular slide. This Pyrex Glass Slide is 23mm x 32mm x 69mm and fits ring size 14. If you're getting serious with your guitar playing and are looking to add another trick to your arsenal, then a pocket-sized slide is what you need. For serious sliding with your size 14 finger, take home the Dunlop 213.